Minimum booking fee applies on Saturdays. Discounts available for group bookings. Please ask for more information. WANT BEAUTY TIPS & TRICKS STRAIGHT TO YOUR INBOX? We love sharing our beauty advice with others - sign up now so that we can keep you in the loop! 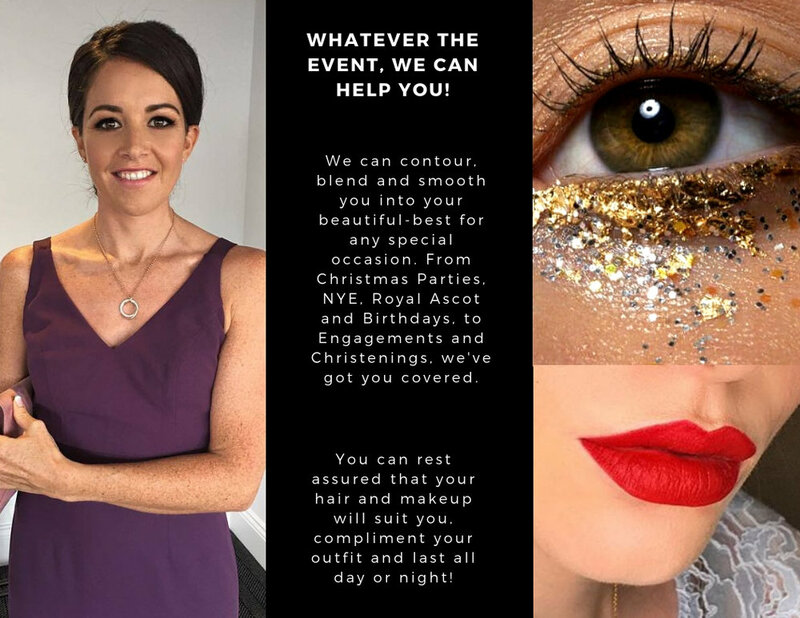 Subscribe to our newsletter and receive your voucher to claim 10% off a makeup lesson, makeover or party. Thank you. You may need to verify your subscription so please check your email. Also, look out for your voucher!